Frommer&#x2032;s is the name you can trust for great travel bargains. This lightweight, inexpensive guide isn&#x2032;t for backpackers who want to rough it, but for travelers with taste, who&#x2032;ve outgrown their student lifestyle and demand comfortable accommodations and good, authentic meals at a reasonable price. Frommer&#x2032;s knows that affordable travel doesn&#x2032;t have to mean making sacrifices. It&#x2032;s about having fun and getting a great deal! Frommer&#x2032;s Portable $&#x2013;a&#x2013;Day Guides offer all the detailed information and money&#x2013;saving advice of a full&#x2013;size Frommer&#x2032;s $&#x2013;a&#x2013;Day Guide&#x2013;&#x2013;but in a concise, pocket&#x2013;sized format. 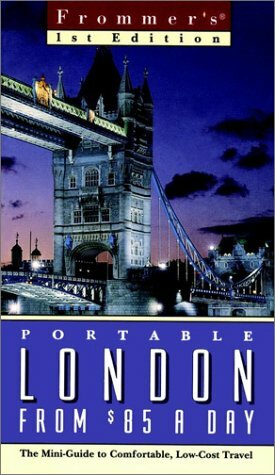 Perfect for the short&#x2013;term traveler who insists on value and doesn&#x2032;t want to wade through or carry a full&#x2013;size guidebook, this series selects the very best bargains in the city and takes you straight to the top sights. Get the latest on airfare deals, affordable hotels, B&amp;Bs, low&#x2013;cost restaurants, pubs, sightseeing, shopping bargains, and discount theater tickets&#x2013;&#x2013;it&#x2032;s all here in a nutshell.